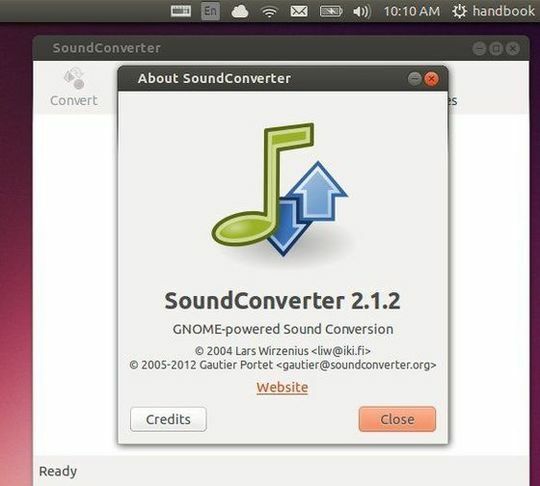 SoundConverter, a simple Gnome sound converter app recently released version 2.1.2 with various bugfixes. As you may know, SoundConverter aims to be simple to use, and very fast. Thanks to its multithreaded design, it will use as many cores as possible to speed up the conversion. It reads anything the GStreamer library can read, and writes WAV, FLAC, MP3, AAC and Ogg Vorbis files. Fix original files deleted when encoding failed. “Same folder as the input file” fix when “Create folders” is active. Reset plugin install cancellation after conversion batch. “Replace all messy characters” based on a black list instead of a white list. This means that only really problematic characters are replaced now. The Getdeb has made this release into its app repository for Ubuntu 13.10, Ubuntu 12.04 and Linux Mint 13/16.